WWE has put out a press release, stating that the company is moving its headquarters to a new location. WWE's current headquarters, Titan Towers is set to be sold off. The Titan Towers in Stamford, Connecticut was WWE's home since 1985. The corporate facility has been used in a string of major storylines in the past. At the peak of the Attitude Era, the office was used in a storyline involving Stone Cold Steve Austin becoming the new CEO of WWE. 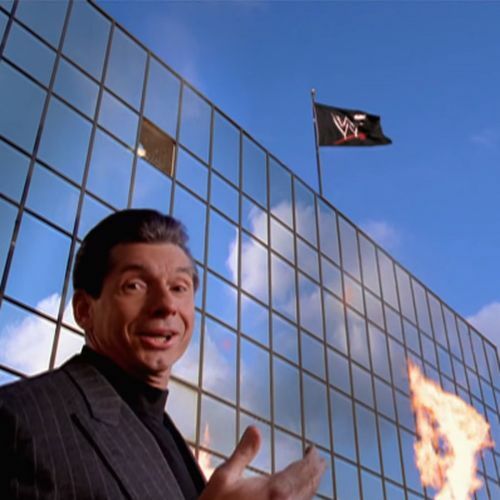 In 2006, the newly reformed D-Generation X sprayed a huge D-X logo on the building, as a part of the ongoing storyline between the notorious faction and The McMahons. The headquarters have also been featured in multiple WWE documentaries in the past, most notably the ones based on Sting and The Ultimate Warrior. WWE recently issued a press release, confirming that the company was set to move its headquarters to a different location, in Stamford, Connecticut. WWE (NYSE:WWE) today announced that the company will move its global headquarters to a new office complex at 677 Washington Boulevard in Stamford, Connecticut. This move will allow the company to bring together its operations, including its production studios and corporate offices at its new site. WWE added that they would be selling Titan Towers, with the move to a new location being expected to happen by 2021. With WWE evolving into a major global brand, this move is being touted by the company as being another step towards providing a work space that will suit its growing workforce. What are your favourite WWE moments that involved the famed building? Sound off! WWE Rumors: Former Tag Team Champions moving to SmackDown? WWE Rumors: WWE Moving Bayley to SmackDown Live?